I’m on vacation this week and next! Heading back to my old stomping grounds, Lakeside/Coos Bay/North Bend Oregon. 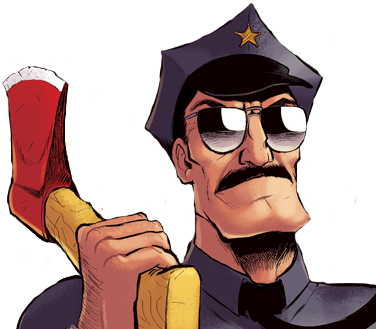 If you live anywhere close enough, you really ought to come to my Axe Cop event in Coos Bay on the 16th. See the trailer for it below. I’m going to take a break next week, but I’ll post something to keep you entertained. Thanks for reading!